I’m excited to bring public, for the first time, the list of the Launch Team Directing Members for the upcoming Music PLN Website ( http://musicpln.org). Literally, the folks that have agreed to be part of this amazing team are a “Who’s Who List” of music educators and active pioneers in the adoption and development of both integrated and online technologies for music education and the classroom. I am very excited to have each and every single one of them as a “grass roots” member of our PLN. The Official Launch date of the MUSIC PLN is set for July 5th…pending a successful BETA period of about two weeks. I’m very excited to release this Website to the public! 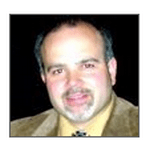 Prof. Joseph M. Pisano is the founder of the Music PLN at MusicPLN.org as well as the founder of a number of other great education, music, and technology Websites such as http://mustech.net and http://musicednews.com. Dr. Pisano currently holds the positions of Associate Chair of Music and Fine Arts, Associate Professor of Music, and Music Technology, and Associate Director of Bands at Grove City College, a private four-year college, located in Grove City, PA. He is an active conductor, adjudicator, author, jazz trumpet player and highly sought after clinician. Managing Director of SoundTree, President of ATMI, VP/Secretary of TI:ME, Adjunct Faculty at Teachers College, Columbia University, and author of The Teachers Guide to Music, Media & Copyright Law and co-author of YouTube in Music Education. Amy M. Burns holds a Bachelor of Music in both Education and Performance from Ithaca College and a Master of Science in Music Education from Central Connecticut State University. She also holds TI:ME levels 1 and 2 certification as well as Orff level 1 certification and Kodály level 1 certification. For the past thirteen years, Ms. Burns has taught general music to grades Pre-Kindergarten through three, directed the instrumental band, the flute and clarinet ensembles, the elementary choruses, and coordinated the after-school conservatory for Far Hills Country Day School, in Far Hills, New Jersey. She has presented workshops on integrating music technology into the elementary music classroom for numerous district, state, and national conferences. 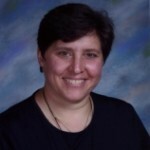 She has contributed lesson plans to SoundTree’s Educator Corner and has written articles for the TI:ME website, the TI:ME newsletter, SoundTree Resource News, MENC General Music Today, NJMEA Tempo, and Music Education Technology (MET) magazine. 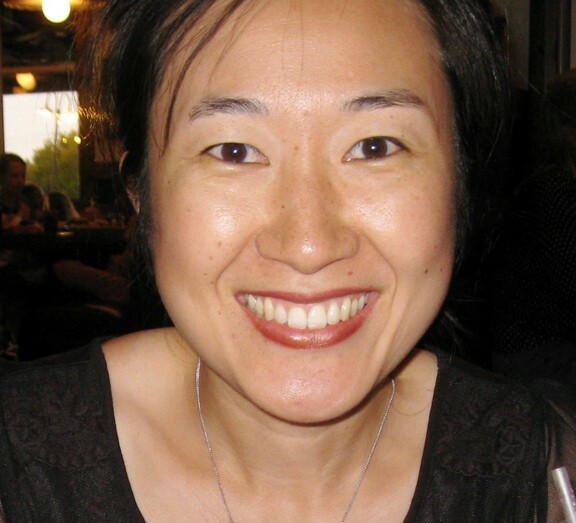 She is the lead author and editor of a book of technology-enhanced lesson plans titled, Technology Integration in the Elementary Music Classroom, recently published by Hal Leonard. In 2005, Ms. Burns was awarded the first-ever TI:ME Teacher of the Year Award in recognition of her outstanding achievements in integrating music technology into the elementary classroom. In 2008, she was elected as President-Elect of TI:ME, and will begin her presidential term in the fall of 2010 . Doug graduated from Youngstown State University in 2002 with a Bachelor’s Degree in Music Education, and is currently pursuinga Master’s Degree in Education witha major in Instructional Technology from Wilkes University. He has studied saxophone with recording artists James Umble, Kent Englehardt, and Joshua Redman. Doug has also performed with many artists including The Manhattan Transfer, The Temptations, Mary Wilson of the Supremes, The Mamas and the Papas, Wayne Newton, Marie Osmond, and jazz artists Conrad Herwig, Kenny Burrelland Maynard Ferguson. He has also performed with the Youngstown Symphony Orchestra, and the Cleveland Jazz Orchestra. His album credits include the Downbeat Magazine award-winning “Biddle-De-Bop” by the YSU Jazz Ensemble, “Standard Fare” by Brass Taxi, and “The Way You Move Me” by Christian artist, Jordan Biel. Doug also serves as a guest clinician and soloist throughout the Western PA region. 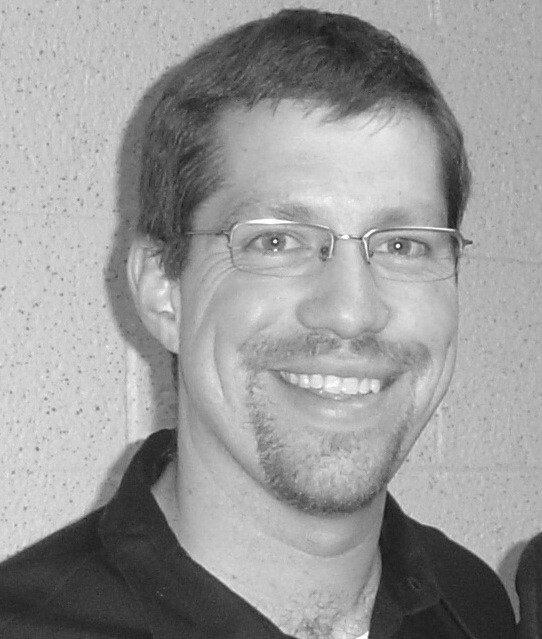 He is currently the Director of Bands in the Sharon City School District, and performs regularly with his jazz groups, The Doug Butchy Big Band, and the Doug Butchy Trio. In May of 2010 Doug was selected as one of 28 educators from around the country to receive a DENny Award in the “Community Choice” category from Discovery Education. Justine is a current masters candidate in the Music & Music Education program at Teachers College, Columbia University. She graduated from Kalamazoo College in 2009 with a double major in Music and Psychology. Due to her liberal arts education she maintains a steady interest in research: her current fociare social justice, gender associations and musical instruments, influences of culture, and identity formation. She currently is researching with Dr. Harold Abeles at Teachers College on cultural influences on gender associations and musical instruments. She also is helping to run the Music & Music Education online presence located here. Finally, musically speaking, she has studied double and electric bass, playing bothclassical and jazz music, with Anders Dahlberg, Dale Anderson, and Paul Beaudry. For more information you can find her at her personal blog. Barbara has been teaching music since 1997, and teaching Electronic Music & Audio Engineering at Greenwich High School in Connecticut since 2001. 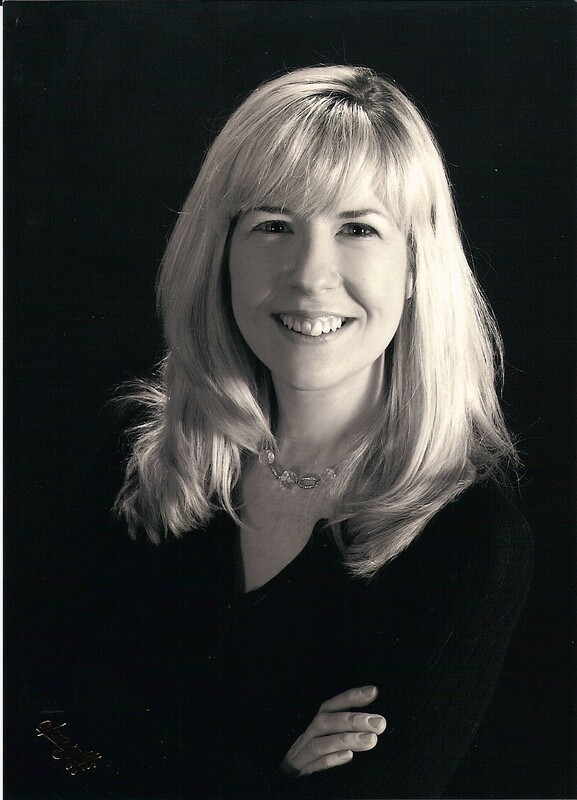 She is the Co-President of the Music Educator Technologists Association/Technology Institute for Music Educators (META/TI:ME), Connecticut Chapter, an association of music educators founded in 1989. She is an author, consultant, trainer, and frequent presenter/clinician at local, state, and national in-service conferences and events. Barbara is also a survivor of the New York City Public Schools, bothas a teacher and a student. She is a professional timpanist and percussionist working regularly with the Ridgefield, Bridgeport, and Norwalk(CT) Symphonies, and has worked with other New York Tri-state orchestras, opera and ballet companies. In addition to her work with orchestras, she has performed on Broadway, in popular and folk bands, and Renaissance & Irish ensembles. Barbara is the Music Director of the Sound Beach Community Band of Greenwich, Connecticut, one of the nation’s oldest community bands. She holds a Bachelor of Science and Master of Music in Performance from Brooklyn College Conservatory of Music City University of New York and a Professional Studies Diploma from the Mannes College of Music. She studied conducting at the Hartt School of Music, Westminster Choir College, and The Julliard School. For more information on her program at Greenwich High School, please visit this link. 21st Century Learning Advocate. Blogger @Educational Paradigms. Music Education/Technology Specialist. In-Service Professional Development Provider (Web 2.0 and Social Media in the Classroom). Teaching Assignments: 6,7,8th Grade Music Technology, 6-8th Grade level Bands. Doctoral Work-Teacher Education and School Improvement-University of Massachusetts, Amherst (2003-2005). Personal interests: Travel, Cycling, Running, Leading for Change. Double bassist, educator, blogger, and podcaster. Jason has performed with the Lyric Opera of Chicago, Grant Park Symphony, and many other ensembles in the United States and abroad. His writing, blogging and podcasting have been featured in the New Yorker, International Musician, Double Bassist Magazine, The Scroll, The Engaging Brand, and the Adjunct Advocate. He is on the board of directors for the International Society of Bassists and serves on the board of directors as director of technology for the Illinois chapter of the American String Teachers Association. 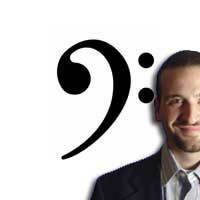 He currently teaches orchestra at Libertyville High School in Illinois and double bass at DePaul University. Yoon Soo Lim is happy be a part of this amazing PLN team from whom she learns everyday. She is a music teacher and department chair at an independent school in Pennsylvania. She received undergraduate and graduate degrees in piano performance, music history and choral conducting. She found a love for teaching young children and pursued studying Kodálymethodology, receiving certification in levels I-IV. She loves instilling love of music in her students and integrating technology in her classroom. She enjoys teaching general music classes, guitar classes, advising guitar club and conducting two choirs. She joined Twitter PLN in October, 2009, and found great educators who are passionate about teaching and learning; she enjoys sharing her knowledge with her students and peers. Marcia served as the Supervisor of the Secondary Music Education Program of the Clark County School District (CCSD), headquartered in Las Vegas, Nevada, from 1994 through 2007. During the course of those years, she led the Secondary Music Education Program to a total class count of over 50,000 in 56 middle and 38 high school music programs and over 100,000 in Secondary Fine and Performing Arts. The district employs over 500 elementary and secondary music educators. Marcia is recognized for her creative approaches to curriculum design and implementation. One of the most popular is the district’s standards-based Mariachi Program which was instituted in 2002 and is now staffed by 17 full-time, licensed Mariachi educators. Marcia is the lead author of ¡Simplemente Mariachi!, an instrumental and vocal method series for mariachi students and educators. She has also authored and edited a number of articles and publications for MENC, the National Association for Music Education and the Music Advisory Council. Marcia is an ardent Music Education advocate at the local, state, and national levels. She serves on the Supportmusic.com Steering Committee, the MENC National Advocacy Committee, and as a member of the Quincy Jones Musiq Consortium. In addition, she and her husband serve as Music Ambassadors to The Ohio State University School of Music. Marcia is president of Music Education Consultants, Inc., a consortium of music education professionals who work with a variety of educational organizations, arts associations, and school districts to foster the growth and breadth of school-based music education programs for all children, grades PreK-16. Among others, specialty areas include curriculum development and expansion, professional development, teacher induction programs, and the providing of conductors and adjudicators for honor ensembles and music festivals. Katie Wardrobe is a qualified teacher who enjoys helping people who are short on time and dislike reading software manuals. Katie runs her own business – Midnight Music – which specialises in on-site music technology training for educators and students. She presents regularly at conferences and events around Australia and enjoys creating tutorials and writing articles for her music technology blog (although she wishes she had the time to post more regularly!). Katie also works as a freelance copyist, music arranger and transcriber and is an Executive member of the Music Arrangers Guild of Australia. 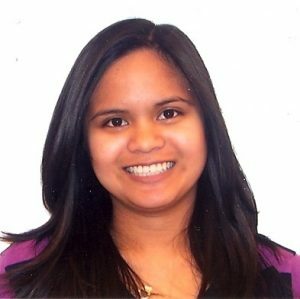 She is currently working as the Project Manager for mtec2011 – the next Music Technology in Education Conference in Australia. Katie has a tendency to take on far too much work considering she’s only supposed to be working part-time. It’s just that there’s so much good stuff going on in the world of Web2.0…. Andy Zweibel was born in Chicago, and raised in the city’s suburbs of Evanston and Northbrook. He became involved at Glenbrook North High School on the band staff, serving as librarian for his sophomore and junior years, and a Drum Major for the Spartan Marching Band his senior year. He was accepted to the University of Miami Frost School of Music for a degree in Music Education, and began his studies in Coral Gables, FL in the Fall of 2007. He is an active participant in the University of Miami Band of the Hour, as a section leader for the 2008 and 2009 bands, as well as the band captain for the 2009 season. He also holds the position of President of UMiami’s chapter of the Florida Collegiate Music Educator’s National Conference. Andy is founder and Editor-in-Chief of MusicEdMajor.net, a website dedicated to Music Education Majors. In addition, Andy is the founder of #MusEdChat (Music Educator’s Chat) on Twitter. You can find more about Andy on his website and by reading his blog.